Being ordinary is no longer good enough when it comes to the design of websites; they must be able to impress the target audience; and your website is not the only one vying for their attention. This means they’ll only go through a website that satisfies their needs and requirements best. This is where the importance of CSS enters the picture. A website having clean, organized CSS will not only load more quickly but also offer a highly satisfying user experience. This also improves its chances of figuring prominently in search results. But, this isn’t easy. The contents of this blog are really awesome for people knowledge. Thanks for share and keep up the good work. Great tips! This is really fresh information about css menu. Thanks for sharing! Informative post. I like your post. Thanks for sharing. Thanks for sharing this post its very helpful I will try it. Short but sweet article. Got to know very valuable stuff about CSS.. Thanks for sharing your knowledge with us.. Thanks for sharing such a great article.It was quiet informative.Ally Digital Media Solutions is one of the leading full-service digital agency. If CSS are not defined well then they increase the loading time of the website one to two seconds more. And wordpress is one stop solution for all. 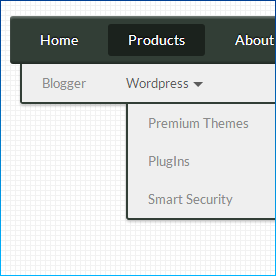 This Pure CSS Menu is being widely used by web designers as it provides menu with new Horizontal Styles. I read your post. I really appreciate with your post about CSS menu. It is useful for every developer.